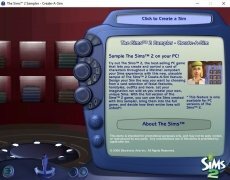 The Sims is definitely the most popular social simulation video game saga at present. With over 100 million units sold, it's also the most bought franchise in the history of video gaming. Its success is mainly based on offering the user all the freedom in the world to create a character or avatar that can live a virtual life parallel to reality, being able to experience all sorts of happenings with other players that otherwise would be impossible in real-life... and all the latter, supported by an online gaming system. 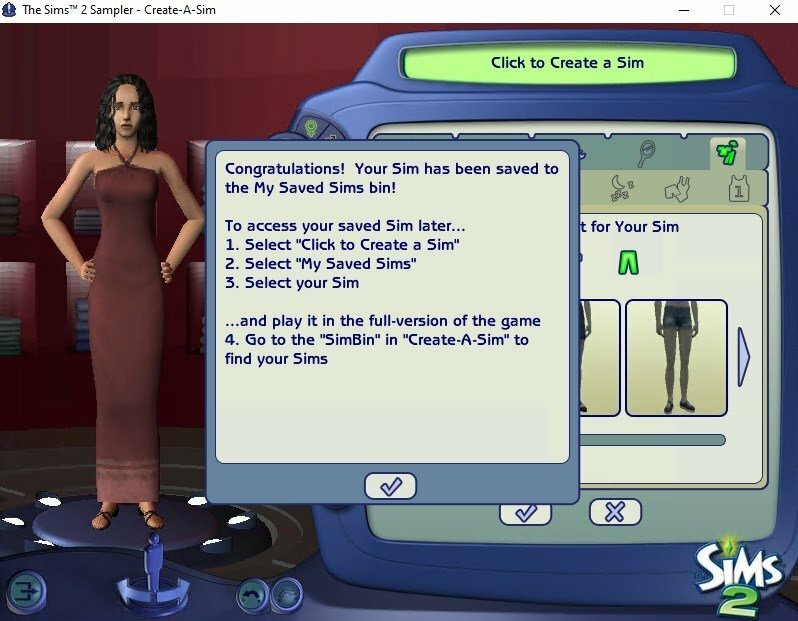 And that's precisely what you can do in The Sims 2. It's the sequel to the first installment and was published back in 2004, managing to sell over a million copies during its first ten days on the market. Here we'll find improvements to the simulation and detail level regarding the first installment, as well as updates such as new feelings for the characters or how aging affects the avatars. In Create a Sim you'll have everything you need to create your character however you want, being able to save it and use it in as many games as you want: clothes, build, traits, skin tone... Customize the character to your own liking or create a random avatar. That's up to you. Now any choice or action will have an impact on the life of your Sim. 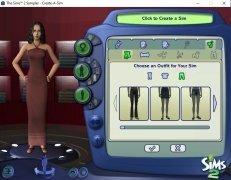 Create your own character to play the Sims, whether male or female. Choose between different life periods: baby, child, youngster, adult or elderly. Select the skin, eye and hair color. Also select your character's clothes and accessories. Create and save as many Sims as you want. Multiple expansions to keep on enjoying the game: 'Apartment Life', 'Pets', 'Open for Business'... Use your Sim in all of them. This game offers you the possibility to create as many alternative egos as you wish: any person you can think of, regardless of how complicated he or she may seem, can be created in the social simulator par excellence. The game's system cover different aspects of the life of any human being and that can affect the most important stages of his life: personality, ambitions, physical condition, job, relationships... everything that conditions the existence of a person appears in this second part of The Sims, including the differentiation between weekends and weekdays. As we've mentioned, the game is part of one of the most successful video games for PC that has provided Electronic Arts with plenty of profits. 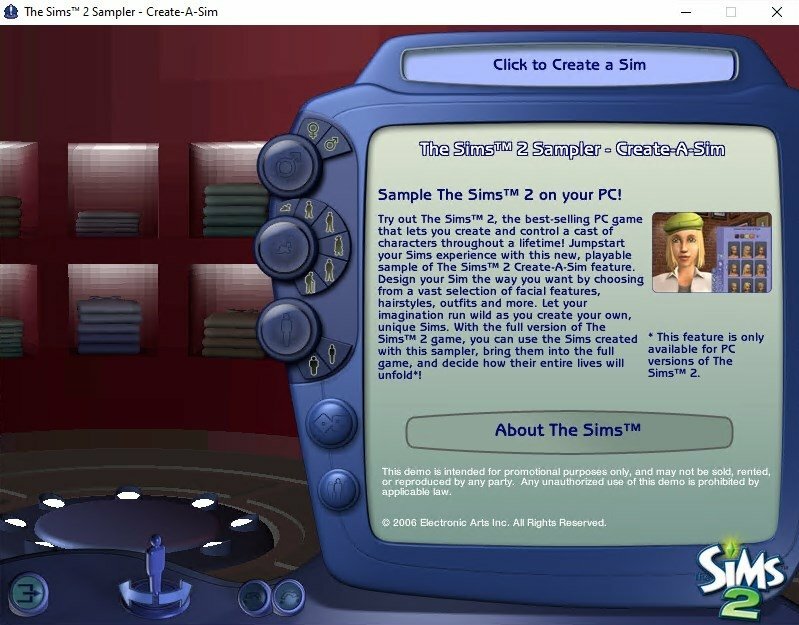 You can download it individually or by getting hold of the so-called Ultimate Collection, the pack that brings together all the games of The Sims. A way of escaping from your boring daily life and becoming the person that you've always wanted to be, but never dared.